Rupa is the "having become a thingness of anything." This includes ideas and such invisible things as sounds. Rupa includes the mental (nama) that has become an aspect of individual existence, cannot be separated from the mental, and is, itself, encompassed by the mental. 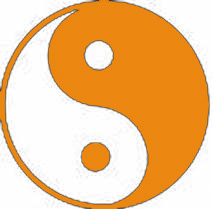 Look at the Chinese Ying/Yang symbol.